their health and what I would do without them etc. My poetry is mostly concerned with pushing into what one can see and speculating about what’s just beneath it, or just beyond it. Therefore, an image from my immediate surroundings is necessarily tied to what’s not immediate, what might be elusive, and what, therefore, requires imagination (of poet and of reader) to believe in. And that’s where asking the reader to care about both the world and the world as re-presented in the poetry becomes important. The drama and gravity of the oil spill inspired a reaction which is ultimately very human in its simplicity. I wanted to capture some sort of primal, animal reaction involving those who caused this catastrophe, but without losing track of the fact that I am human and in some way connected (as everyone is) to it. The simple diction is just one way of palpably re-imagining these connections, which sometimes feel as though they’re faltering, but must be re-introduced and emphasized, integrated into the quotidian. 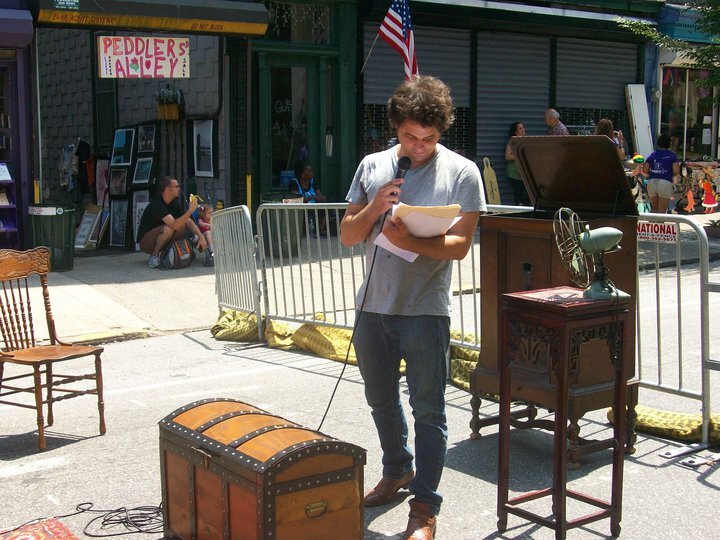 Tony Iantosca is a poet living in Brooklyn, New York, where he’s enrolled in the MFA program in creative writing at Long Island University. He has work forthcoming in Talisman: A Journal of Contemporary Poetry and Poetics, and the online journal EOAGH: a Journal of the Arts. With good friend and extraordinary poet Daniel Owen, Tony is co-editor of the poetry journal Sun’s Skeleton.